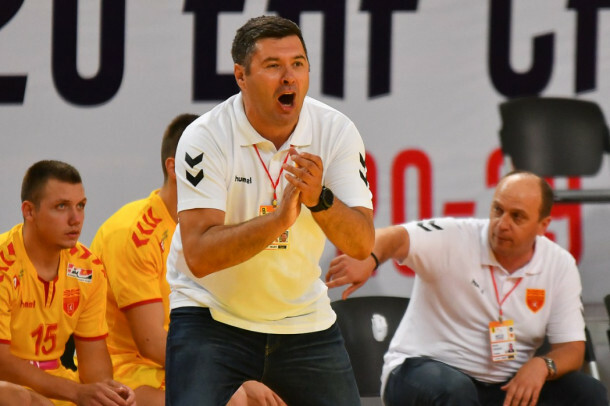 Macedonia was tied with Iceland during the European handball championship qualifier on Sunday in Skopje. The game was marred by reports that security at the sports hall where the match was played prevented supporters from entering with the Kutles/Vergina star flag, which is being banned under the Prespa treaty with Greece. After beating Iceland in the away game, Macedonia played well and had a one goal lead in the final minute, but was unable to seal the deal. Coach Danilo Brestovac was in glass half full mode after the game. Our team played two high quality games in five days. I see this not as a lost point, outcome as three points from two games, against a strong opponent. I think that, with five points, we are as good as qualified in the European championship. With two wins against Turkey and Greece, in games we are favored to win, we will be first in group, Brestovac said.